Their Tat-Eng Dairy Waste Pump has been quietly achieving popularity amongst farmers and word of mouth recommendations continue to flow. Alex Carter said he has serviced many makes of waste pumps over the last 30 years and it is not his most popular task. When designing this pump, maintenance considerations were of the highest priority. Its open face design allows shaft removal with bearings intact. There are no belts to adjust and the drive coupling can be replaced without motor removal. The stepped impeller designed especially for this job means that part of it protrudes through the upper part of the housing which creates pit agitation and prevents grass from crowding the intake area. The body of the pump is hot dip galvanised steel, a combination of bissaloy wear plate and stainless steel materials have been chosen to manufacture the bottom end components for obvious reasons. It is simple to install; it can simply stand on the pit floor or clipped onto a pit edge bracket. 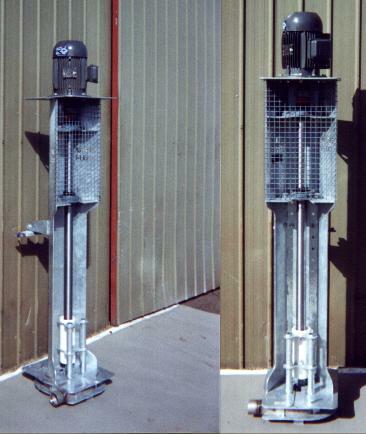 The body is fitted with a unique swivel hinge combination allowing tilt back and side slew which relocates the bottom end away from over the pit during inspection. Two models are available, either 2 2.2kw or 2 4kw with options on single or three-phase quality Weg IP65 rated electric motors. User friendly features like these certainly make good reason for consideration when looking at your next dairy waste pump. Positive customer satisfaction feedback has been so strong we are prepared to offer a 100% money back guarantee if you are not satisfied with the design and performance of this pump. 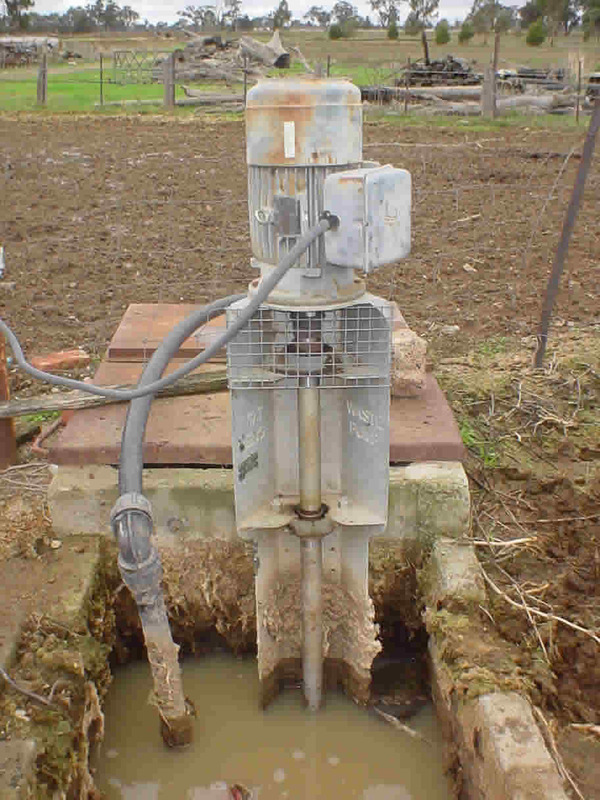 Several users have made quotes like this is the best dairy waste pump I have ever owned.